Van in his ROTC uniform. The memorial page at the top of this post was given to me by Gary Pope a Charlie Trooper 1970-1971. Van was assigned to Charlie Troop on February 2, 1969 and was Killed in Action on March 12, 1971. Van was a Pilot of an AH-1G Cobra Attack helicopter. Van was awarded the Purple Heart, Air Medal w/25 Oak Leaf Clusters, National Defense Service Medal, Vietnam Campaign Medal, Vietnam Service Medal and a set of Army Aviator Wings. If any family member or friend reads this blog, please contact me as I am looking for pictures and personal stories about this brave man. The following pictures were sent to me By Van’s brother, Ed. 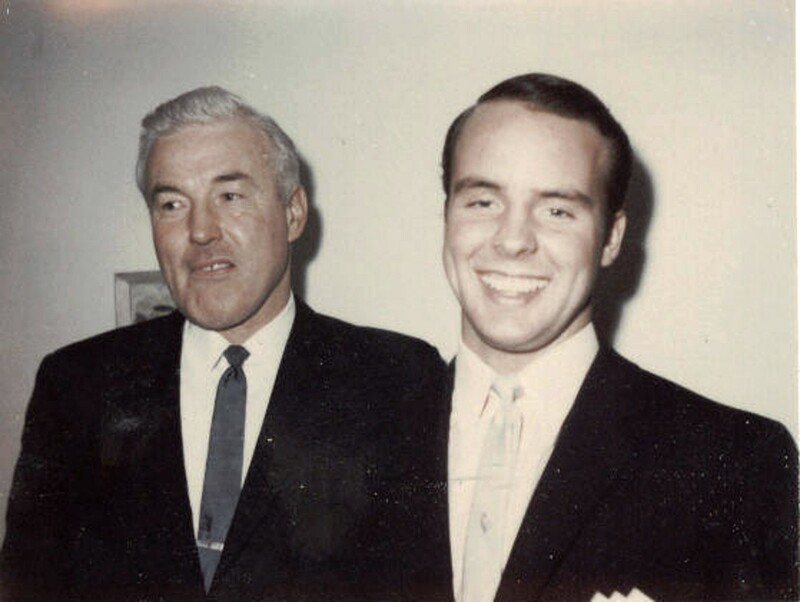 Van and his Dad Frederick. 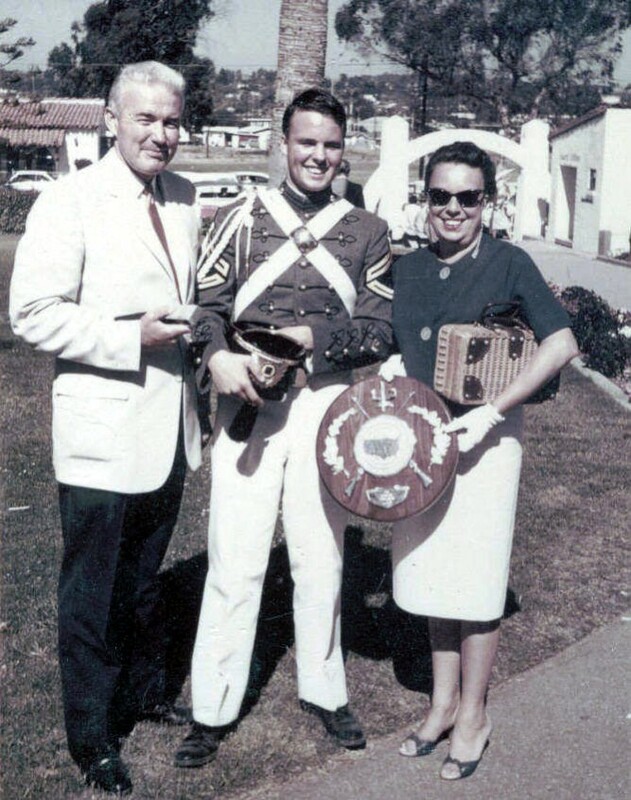 Van and his Mom, Mary (Betty) and his Dad Frederick at Van’s HS Graduation. Van and Joel were shot down in Cambodia by a fifty cal in the tree line of a rubber plantation on which we later dropped napalm. I was flying right next to them as the rounds marched up the side, onto the engine cowling, finally hitting and severing the main rotor. Van looked over at me and then they fell out of the sky. The gooks were immediately turned into crispy critters and I could feel the arch-lite we called in from bed that night in Tay Ninh. BDA showed no survivors on the gook side. They were two really good guys, fine pilots, and brave men. 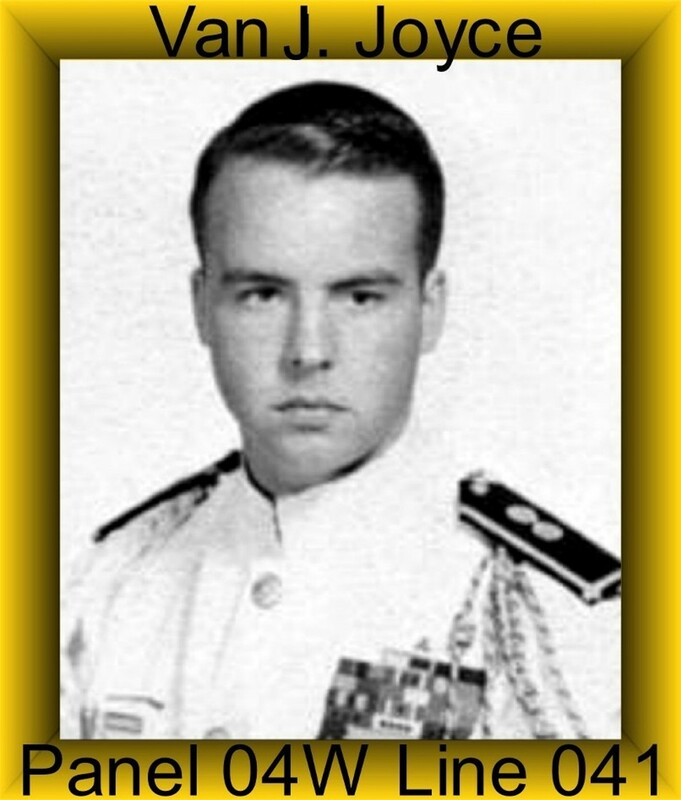 I see below we lost 4 on 15 March, 68, I was there …a sad, sad, day… we parked at Calu and worked our way to the West to Khe Sanh, Calu was about 8 or so km E of Khe Sanh.. Mountains were loaded with NVA.. CP brought Jack Sundquist into Calu.. they were shot up but still flying.. I helped pull Jack out of the gunship.. Jack and I went way back.. knew the family well…As you have noted, we lost others that day also.. We should have arclighted those mountains..Marines at Khe Sanh were pinned down and couldnt move, NVA had Russian tanks at their door step, pounding them…. eventually 1st Cav pulled them out, boy, they were a happy group to get out of there..
15 March, I was flying a Cobra with WO Gibson (Gibber), the 12.7, 4 and 1 flaming rounds were pounding around us.. You always knew there were 4 other bullets you didnt see, with Gibber up front he got a good, scary view of the rounds coming at us that we could see..we always unloaded what we could, TAT jammed of course, and we went to rearm/refuel.. That is when Jack came in.. dont remember much else..I know we had to fly all day and into the nite.. landing on a Calu jungle trail at nite, lights out, was real fun! Guess I’m still screwed up from that day!! I think Art Deel was CO?? Then I think he went to Sqdrn 3? Maybe some of you C troopers can fill in the blanks for me?? Would love to speak with you. Whoever. My name is Pat. I am the owner of this site. I did not know you brother personally but I believe I can put you in contact some of the men that did. I was wondering if you have any pictures of Van? I could use them for Post I have on him as well as on a DVD I make for our unit. If you have a story about Van that you would like to share with the world I would love to post it. I try to show both the Human side as well as the Soldier side of each man. You can contact either by email at pcbnamin@verizon.net or you can call me at 859-771-6342. Happy Memorial day to you was well. This post is for Ed Joyce. My name is Judy Hogen. My maiden name was Noll. You and I met when you lived in Phoenix. Van was in Phoenix on leave. I have letters and pictures of Van from when he was in Vietnam. Judy, My name is Pat Bieneman. This is my blog site. I see where you say you have some pictures of Van while he was in Vietnam. Would you be kind enough to send me a couple? Do you have any special memories of Van’s that you would be willing to share that I could post to Van’s post? I thank you in advance. My first priority is to try and reach Van’s brother, Ed. Van was a remarkable young man.